There is an app made by Apple that will allow you to get the daily free items you can download it here. 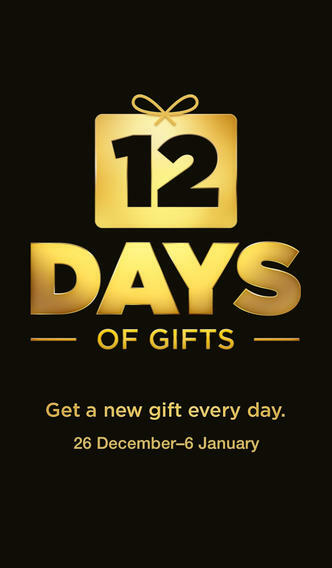 From December 26 to January 6, you can download a gift each day—songs, apps, books, movies, and more—with the 12 Days of Gifts app. Each day’s gift will be available for only 24 hours, so download the free app to make sure you don’t miss out. Note: Not all content is available in all countries. Currently we are on day 4 and today’s app is Toka House. It consists of a bunch of mini games. Check out the youtube video below for more of an idea on it.